Scientific Edge / 10 Secrets to raising happier children! Give them time to play: There is so much structure these days. Sports, extracurricular activities, piano lessons. However, what kids really enjoy is free play. 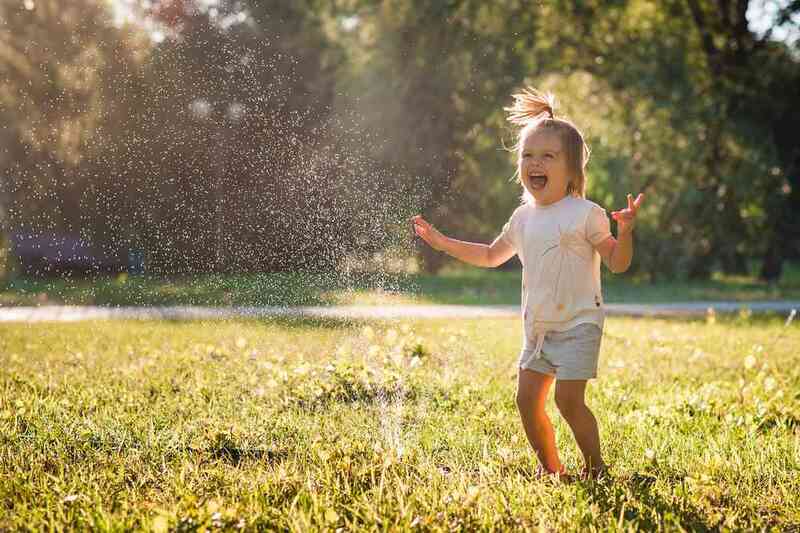 Play offers them a chance to find and develop a connection to their own interests, an opportunity to learn how to make decisions, solve problems, develop self control, and follow rules. Praise their effort and hard work: Remember to praise the effort your child puts into a task. If children learn that their efforts are appreciated, they will learn to value their effort without necessarily aiming for perfect outcomes. Babies whose efforts are valued and appreciated, become more motivated later on. Create family traditions: Christmas dinners, trick or treating on Halloween, family dinners! Instilling traditions is a fantastic way of getting kids to feel like they are part of something bigger. Try to not intervene in their homework: The vast majority of parents just want to look over at their child’s work and correct it and make sure everything is done to perfection. Of course, parents have the best intentions. But what are we unconsciously telling our kids? Perhaps we may make them think they are incapable of completing a task on their own – so, please let them handle it. Allow them to express their emotions: Kids yell when they are mad, and cry when they are sad. Let them. Choosing to be happy doesn’t mean repressing our feelings, but rather honoring and acknowledging them and letting them go. Teach them to embrace failure: If kids are not trying new things, they aren’t failing. What we ultimately want, is for them to face challenges and not run away from them. Don’t compare them to other kids: We often find ourselves tempted to compare our kids with their peers in order to have a benchmark when it comes to achievements or milestones. But the truth is that every child is unique. Be a happy parent: Modeling this behavior is the best way to encourage happiness in your child. You don’t have to be a perfect parent, but you can always try to control your emotions! Help your child develop gratitude: As parents we often think we can’t be grateful until we are happy. The truth is, people are happy because they are grateful. People who describe themselves as gratefulness practitioners are also rated as happier. Are we looking for something to be grateful for? Look right in front of you, look at your child! Give them unconditional love: Kids mess up, this is part of a natural childhood experience. Childhood is based on trial and error, so when kids mess up, forgive them. Kids will grow more confident in their decision-making and will take healthier risks later on in life because they feel safe making mistakes. Kids will feel happier when they know their parents will always be there for them no matter what.